Caddy For A Cure is a dream-turned reality for Russ Holden, program CEO. It was Russ’s touch with Fanconi Anemia in the summer of 1993 that ultimately sparked a passion and the fire to start Caddy For A Cure, developing it into the program that it is today. Holden has been a PGA of America Class A golf professional since 1985 and had the great fortune of being the Head Golf Professional at Woodfield Country Club in Boca Raton, FL. During his time at Woodfield, Holden befriended resident and two-time Masters Champion, Bernhard Langer. From this friendship, Russ began working on the PGA TOUR, caddying both full- and part-time for the German Hall of Fame golfer from 1991 until 2006. 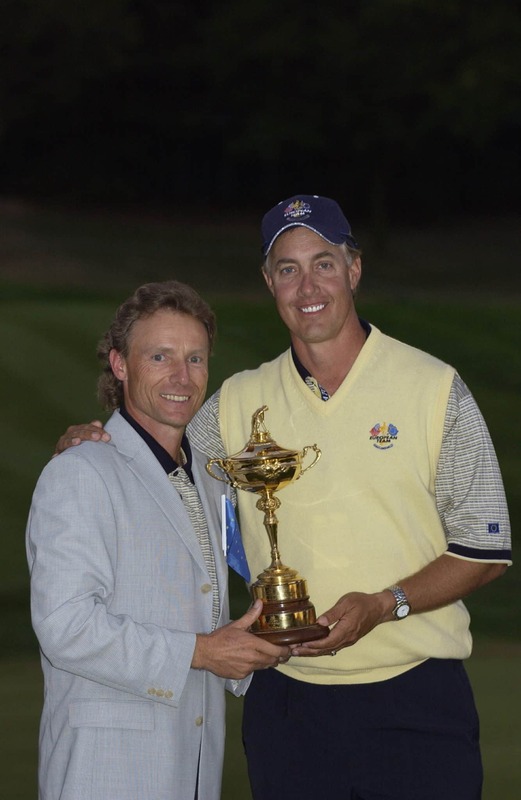 Holden also served as Langer’s PGA TOUR instructor, coaching him to a 4th place finish in the 2004 Masters; a 4th place finish in the Open Championship in 2005 at Andrews; and served as the Caddy Captain of the European team at the 2004 Ryder Cup at Oakland Hills in Michigan. 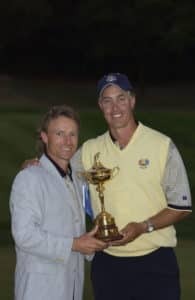 Caddying around the world for one of the greatest players of all time, Russ believed that this experience was one that many people would gladly pay for to experience – to have the opportunity to caddy for a PGA TOUR player. Utilizing his college education and business degree, combined with the skills of his wife, Colleen and her 20+ years of business experience and MBA education, Holden followed his presumption to make this concept a reality. After six highly successful seasons on the PGA TOUR and with the support of virtually all of its players, the Caddy For A Cure concept continues to grow. Under the leadership of Holden and a highly qualified Board of Directors, Caddy For A Cure has made its mark in the world of professional golf. Christian Collins, the Fanconi anemia spark that drove Holden’s passion to make a difference, is doing well for now. 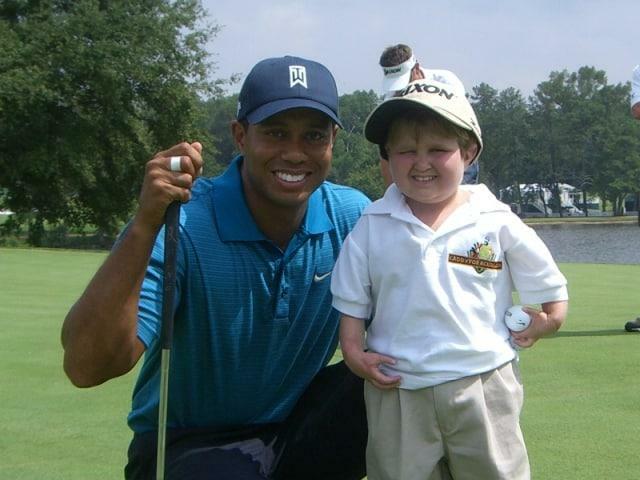 He is serving as the National Spokesperson for Caddy For A Cure and travels often on the PGA TOUR. He has befriended many of the world’s greatest players and, as many 16-year olds like to do, Christian interacts on a daily basis with many of his PGA TOUR friends via texting and phone calls.